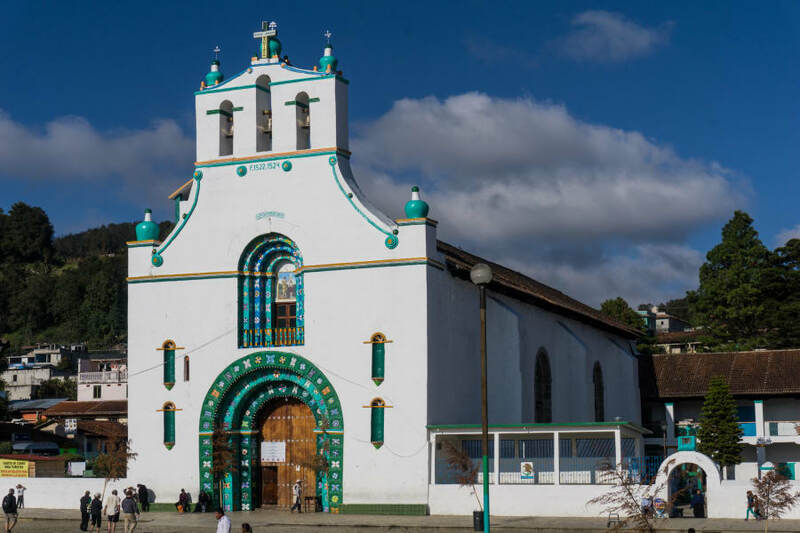 The destination: Chamula in one of the tourist attractions of Chiapas: In this Tzotzil Maya community village, one may see an impressive white-and-aquamarine cathedral dating back to the 16th century. However, tensions between the Catholic Church and the pre-conquest Mayan beliefs led to the withdrawal of the Catholic priests from Chamula. 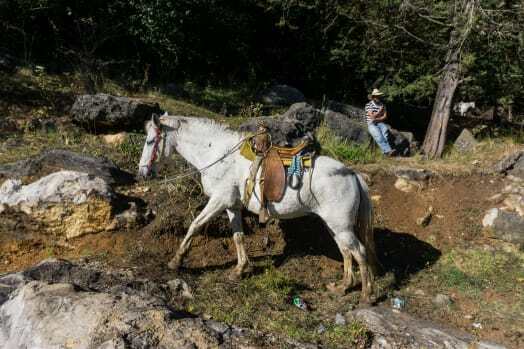 Syncretistic beliefs influenced on one hand by the Catholic religious tradition and on the other by the Mayan perception of the world around, are well established now in the mountain community. Nowadays, the famous white-and-aquamarine cathedral hosts worshipers who pray in their own way. The floor is covered with pine needles, numerous candles cast dancing shadows, saints placed in various parts of the cathedral gather people sitting on the floor. 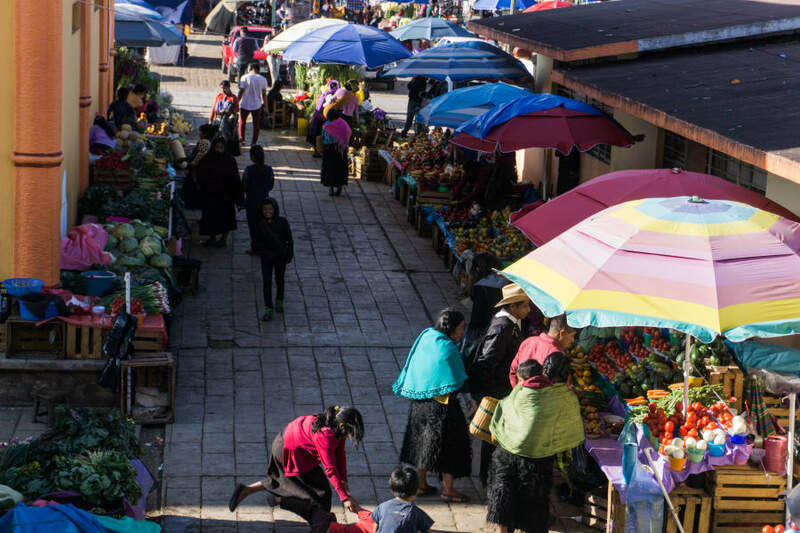 The place is also interesting for its Sunday market on the main square. 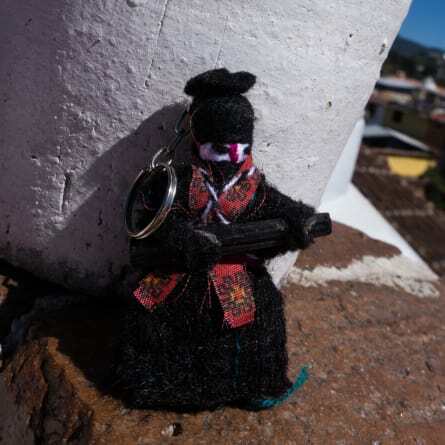 You may find handmade toys, jewellery, sweatshirts and dresses and even puppets of famous revolutionists Zapatistas who controlled the region in the 1990ies. 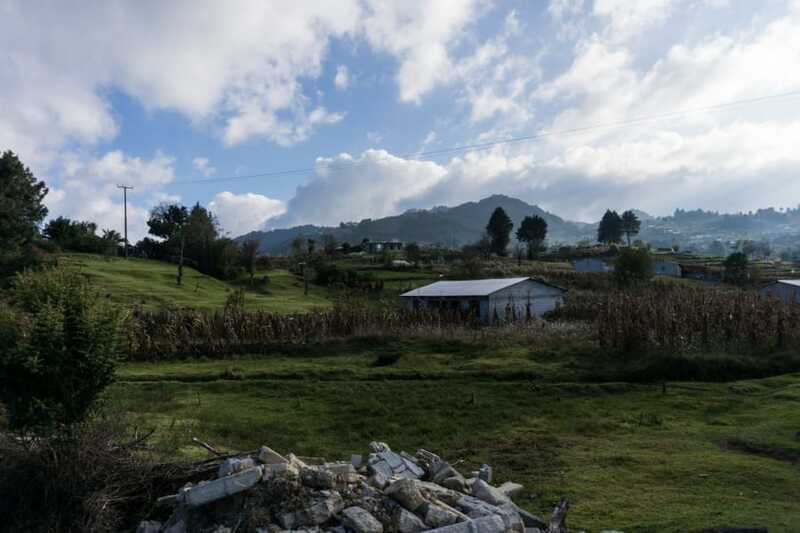 But back to the town of Chamula: the place is just loaded with history and there are more cultural layers there than in a rainbow layer cake. 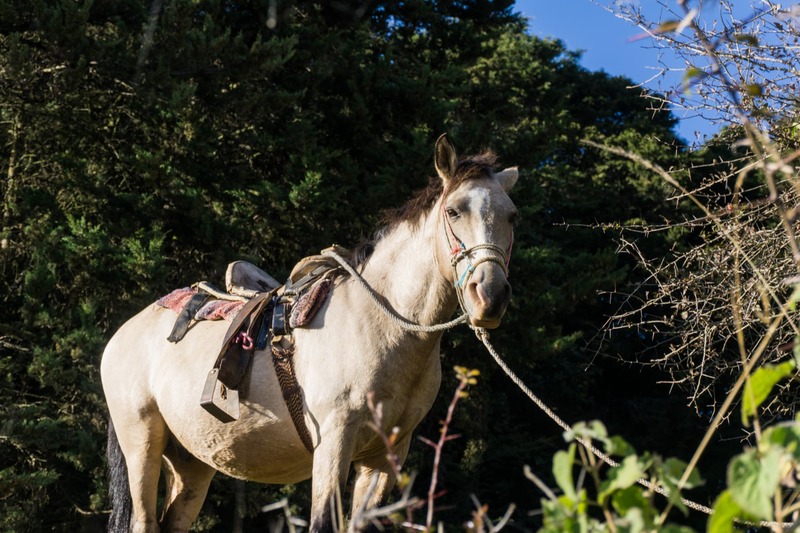 We believe that getting there in a slow manner – by cycling, hiking or on a horseback is the best option: there is so much to see. 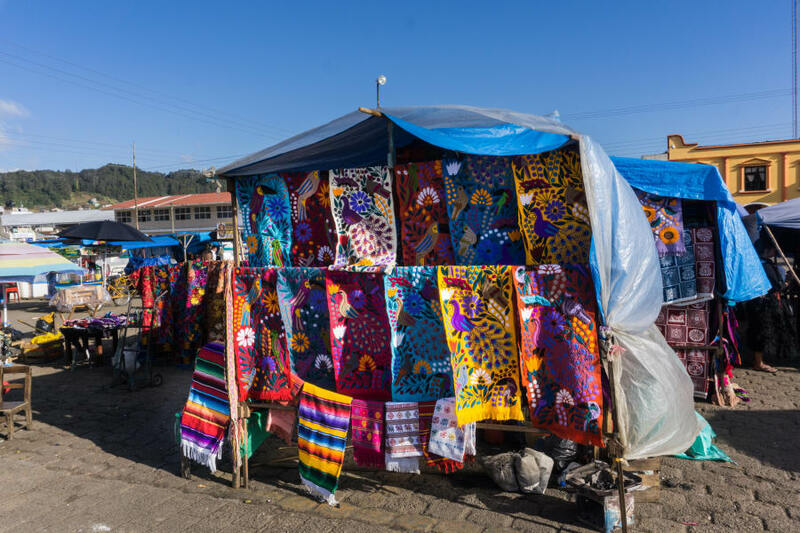 You may observe women doing their laundry in the streams, children playing on the streets – the everyday life in the communities which you are sure to miss if you go by car or bus. 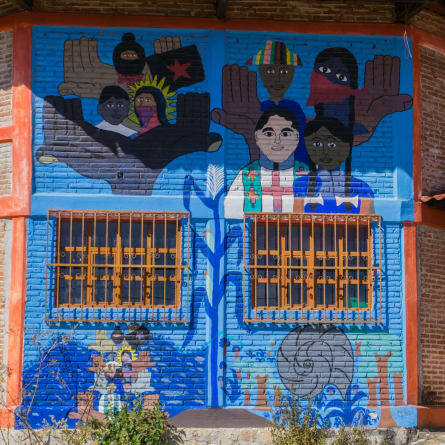 At the other end, I personally dislike the tours that organize visits to local people’s homes: to me, it resembles a human zoo. But maybe this was driven to its maximum in Ethiopia and Kenya where we have seen a tribe watching business. 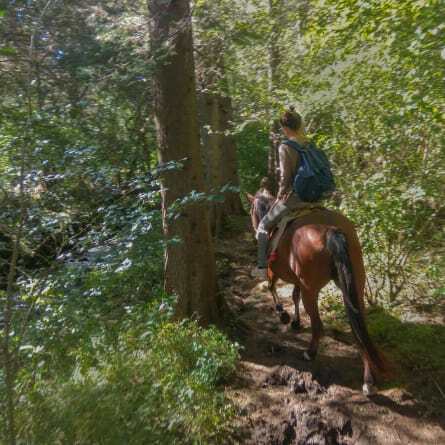 We also loved riding through the forest along a stream during the first part of our riding trip. Time spent in nature was a welcome change from all that time we had spent in towns. Leaving San Cristobal at 12:30 and coming back at 17:30, the trip lasted about 5 hours. There is also a trip in the morning – leaving at 9 and coming back by noon. 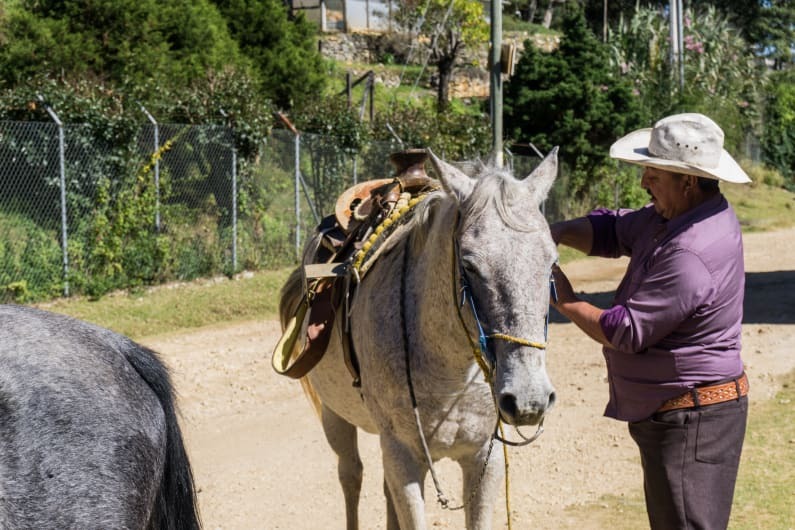 Do you need to have riding experience for this trip? No. 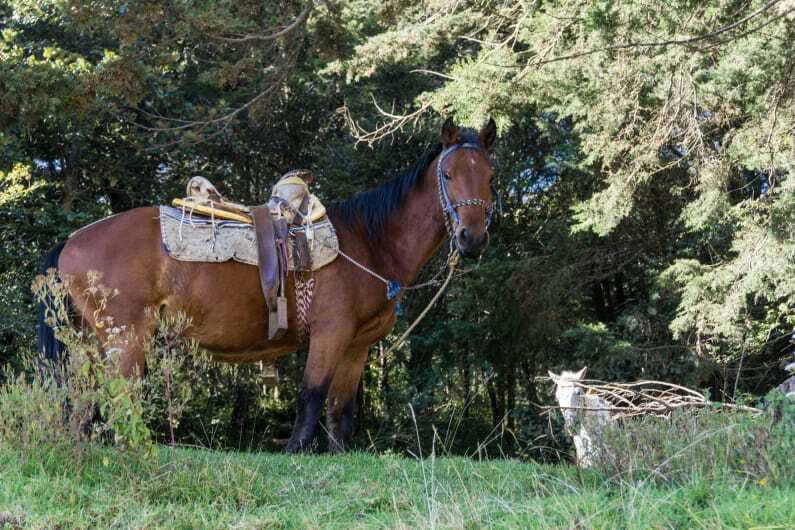 The horses are calm and follow the leading horse – so you don’t have to worry about falling down or controlling your horse. Is it possible to go faster? Not really. 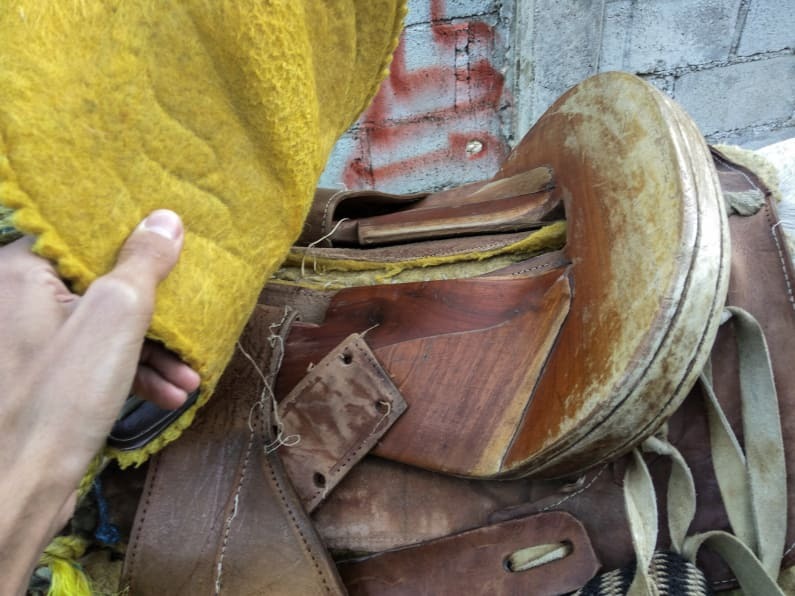 We were divided into two groups, one group of absolute beginners leaving earlier and the second 15 minutes later so that the second could catch up with the first. 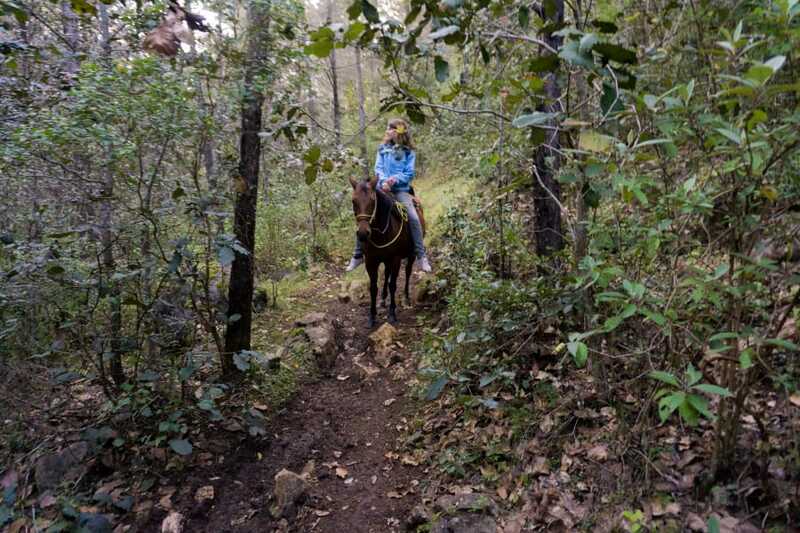 However, there were only a few parts of the forest track where we could send our horses into a trot or a gallop. They asked us to slow down on the paved road. Our verdict: we do recommend it! 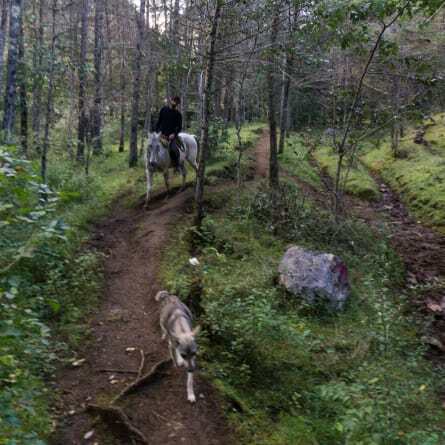 We usually are not quite fond of horse trekking trips where you go in the slowest pace possible, but we are sure we have seen more than we would have seen otherwise (taking a bus or a non-riding tour). 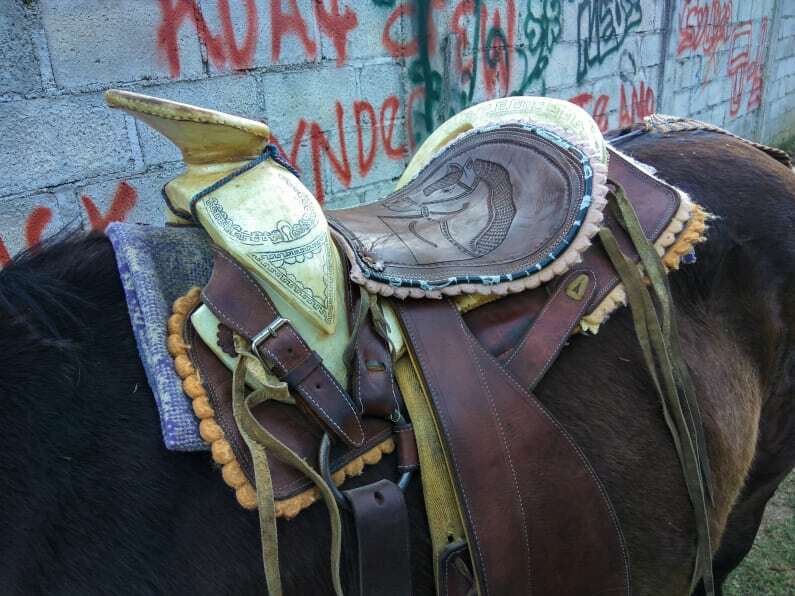 It was also interesting to see how the local horses are trained and have a look at the saddles and snaffles. Arranging a trip is not difficult at all – numerous travel agencies in the downtown area have it on offer. 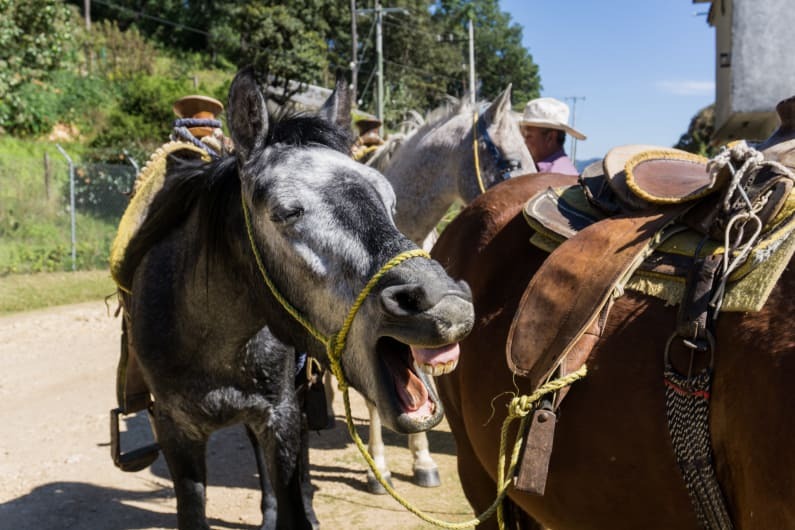 However, their prices vary a bit – in November 2017 the cheapest price we could find was 170 pesos per person.